These custom designed individually tailored lessons are a chance to learn the art of casting a fly rod. Our lessons are designed to help you understand the intricacies of the cast. We cover up to different casts and the skills involved to help you present the fly to the fish as efficiently and effectively as possible. Avoid the frustration and learn from the best. 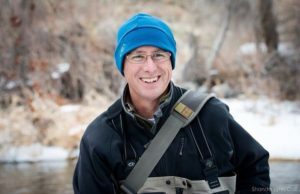 As an IFFF Master Certified Instructor, Eddie Robinson has been teaching fly fishing, fly tying and fly casting for over 25 years. A life long fly fisherman, Eddie has travelled the globe fly fishing and exploring exotic fly fishing destinations. For the past 20 years Eddie has operated a Fly Fishing School and is co-founder of both Stealth Fly Products and Fly Fishing and Dreams. He has owned and operated a fly shop and a guide service for the past 17 years and is a student of fly fishing. He loves to learn and his passion for fly fishing is shared with all who know him.